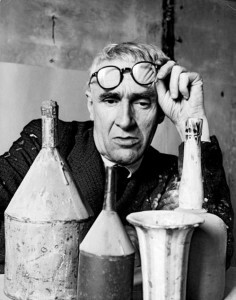 Giorgio Morandi (Italian, 1890 – 1964) – an outstanding Italian artist whose art works are characterized as a totally independent phenomenon in the art of the 20th century. In the well-known, noble and book-wise Italian city Bologna on Nia Fondazza the House-museum of the world wide famous artist – Giorgio Morandi is located. He was born there, lived all his life and created the most of his paintings. He was totally drowned in his art works and almost never left that parents’ house, he was abroad just twice in the last years of his life. Thanks to his sister Maria Theresa Marandi, today the magnificent part of artist’s pictures collection can be seen there, his books, letters, documents and of course his work-shop-laboratory: Large room with yard windows full of jars, vases, decanters, bottles, cups, vessels, shells – these object that had been drawn by him in different combinations constantly, year after year. All these intentionally simple things, devoted of any symbolic meaning, in the artists painting are picturized with such an insight that they become the image of absolute plastic basement and artistic solution of the creative task that had been set by the master himself. 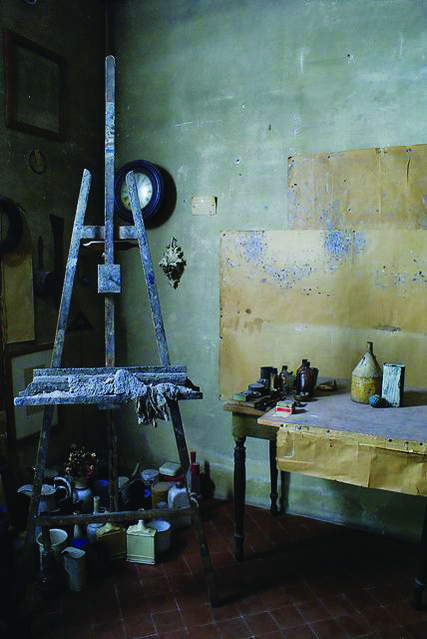 Academical painting had been studied by Morandi in Bologna Fine Art Academy. He was very fond of studying the Italian Renaissance traditions: “Among the artists I am mostly interested in Toscani” – Morandi would write in his autobiography, first of all – Giotto and Mosacco. Speaking about contemporary artists, I think that Corot, Courbet, Fattori and Cezanne can be fairly called successors of the brilliant traditions of Italian art school”. 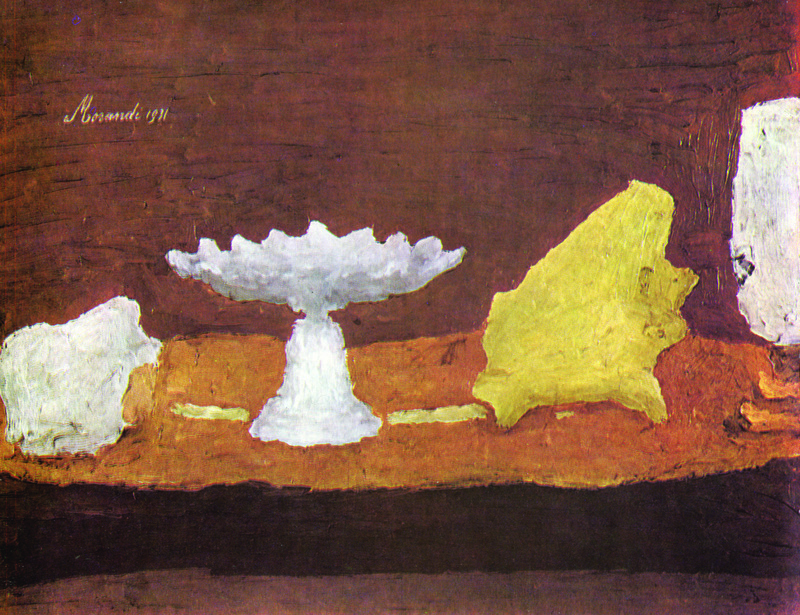 More over in the letters from different years Morandi mentions the close connection of his attitude with the art works of Piero della Francesca , Bellini , Titian , Francisco de Zurbarán and Chardin. In the first decade after finishingAcademy Morandi paints a lot, creates image compositions, self-portraits, landscapes, self-studies engraving and at the same time teach drawing in primary school, participates in collective exhibitions and creative groups. 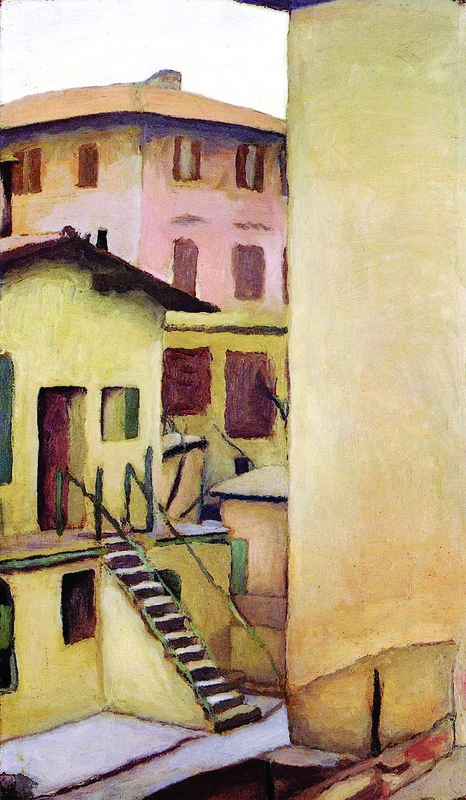 Later Morandi will destroy the majority of his early works, but, for example, saved "Landscape", 1913 defines the artist as a refined colourist. The color scheme of this work is in harmony with Impressionism, it is filled with subtle nuances and modulations of light, there are so much heat, sun and joy in it that one can admire it endlessly. 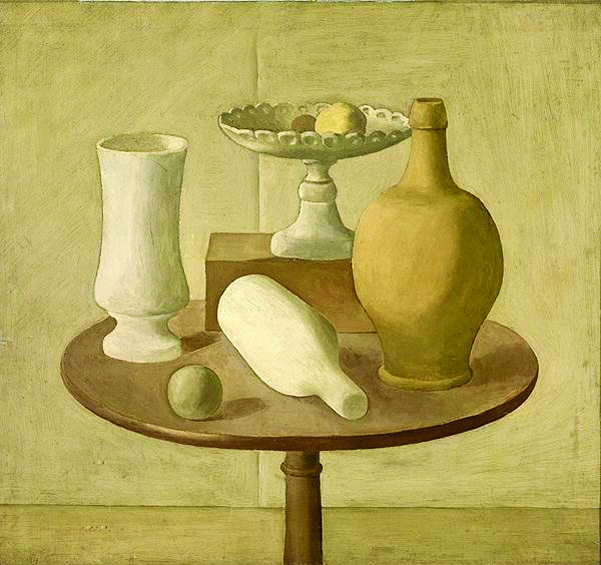 Still Life works of 1916-1920-ies had been written by Morandi within the metaphysical direction boundaries in which the artist solves the problem of space and plastic forms using the language of the classical tradition of painting. Making his still lifes works as academic studies, he primarily tends to identify in them the real thing. 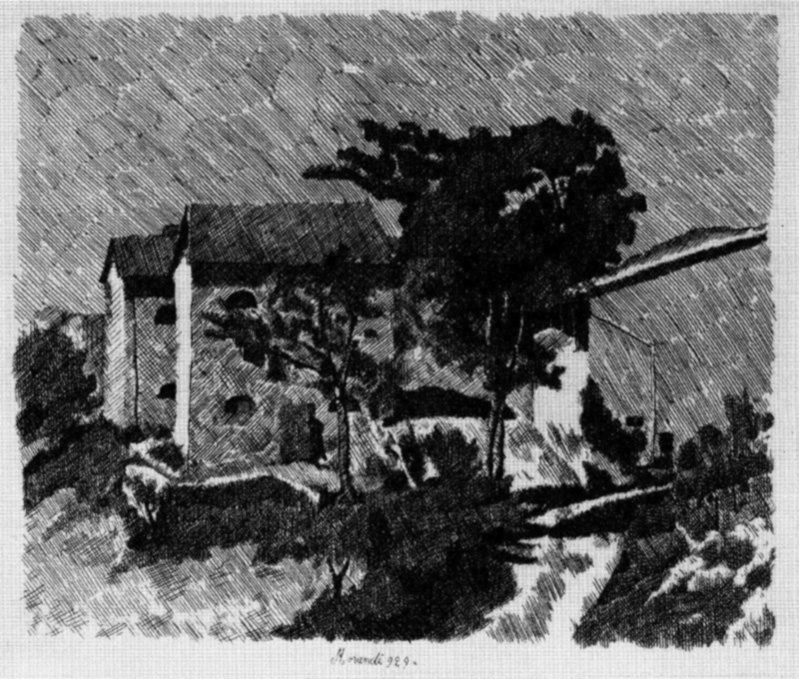 In 1930 Morandi returns to the Academy as a Professor and until 1956 he teaches engraving. It is deservedly considered one of the best European masters of engraving, compared with Rembrandt ("The Trees in front of the house", 1933; "The White road", 1933; "Landscape with the large tree", 1927; "View of the Montagnola", 1932). 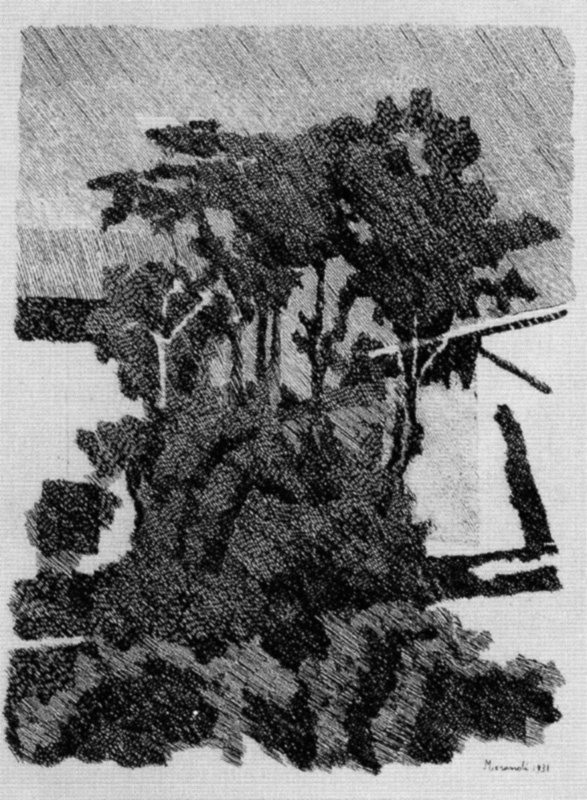 Working "black on white", Morandi uses a complex technique of etching the surface with acid and primer, which he prepares himself. He shows a high mastery of cross-hatching, that provides reflecting of 12 different shades of grey and black. 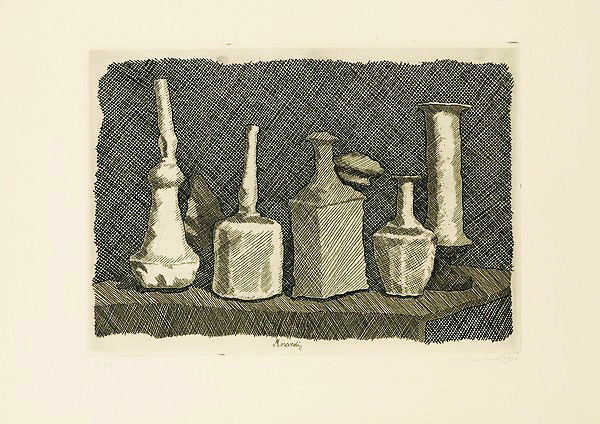 But despite a sincere recognition by artists, critics, and the audience, Morandi tries to isolate himself from the bustle of the world and totally immerses in his own work. 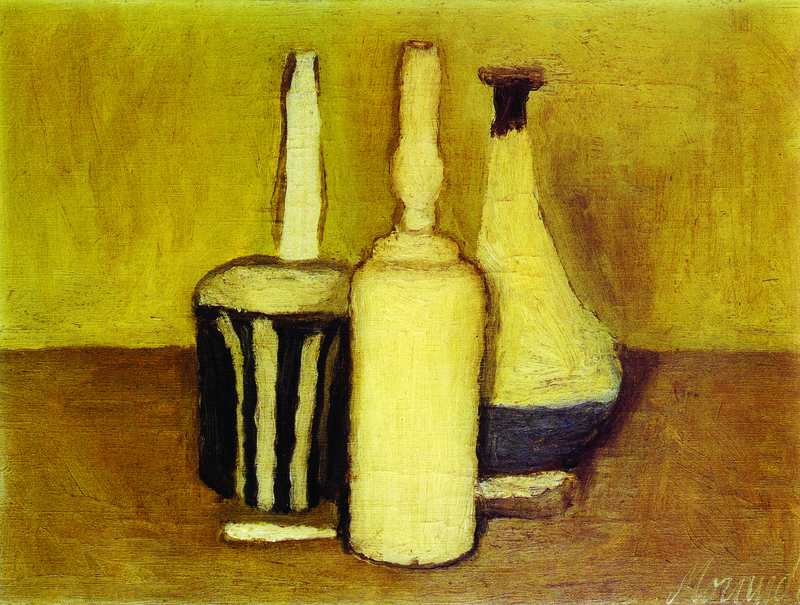 Working in the technique of oil painting and etchings, Morandi focused on a very simple motive – just a few vessels in different lighting, seeing under different angles of view. The artist appeals to the field of ordinary perception. 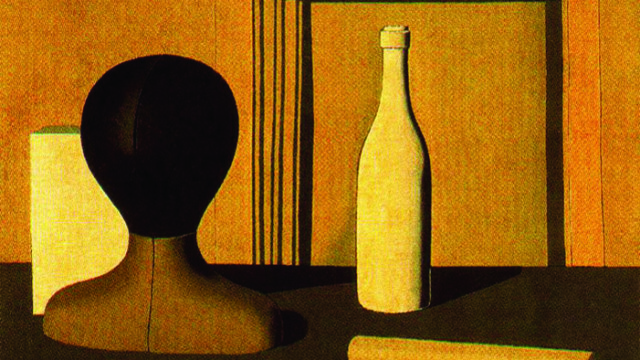 Creatively mastering this complex subject, Morandi became apparent that the original subject should just physically exist in the world, and the task of the artist is to be able to transfer a concrete and an intangible sense of perception. Therefore, in the new works (still lives, created in 1948-1962) we find no narratition, but in all its abstractness, they seem to be absolutely clear, harmonious and tangible. The image is consisting of fully lucid moments, conveying the experience of contemplation or self-knowledge. It's not thinking about things, because objects in the compositions could be different, it is a philosophical co-existence, when the invisible presence of the artist in the same space as the depicted objects reports painting a fantastic magnetism. 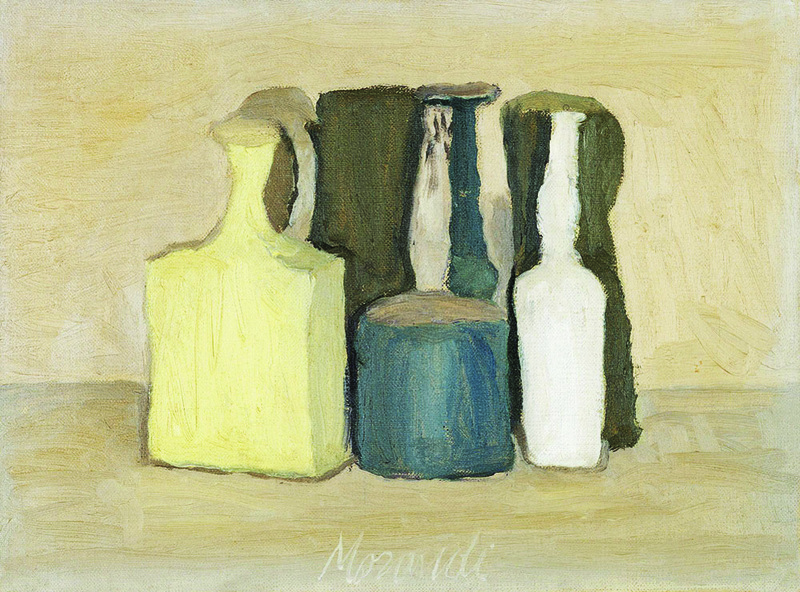 Morandi’s late creative works firmly linked perception and the artist's personality, they brought us to the explanation of particular creative thinking to reveal the plastic clearness of a particular image using forces of artist’s inner world.